Your place in this world is not eternal. Your clock is ticking away and it has been ticking ever since you were born. You never know when this clock will stop ticking, when the countdown will reach zero. Have you been living life the way you wanted to live it? When your moment in this world is up, will you leave a legacy? I originally did not want to write a post like this. One recent event however shocked me, and made me reflect on life. About two weeks ago, I had returned from Tanzania. It was one of the greatest adventures of my life. Climbing Mt. Kilimanjaro was something that stretched my limits and shattered the mental boundaries that I previously had. I had also visited the Serengeti, which made me see the grandeur of nature and experience the wild in its raw, naked form. A few days after having returned, I was back in my ways and my usual routine of work and home. Browsing the net, I stumbled across a blog called “Live Your Legend” run by Scott Dinsmore. Scott had created a blog many years ago, but it didn’t take off right away. For close to four years, he saw almost no outside traffic and got zero revenue from it. However one day, that all changed and his blog really exploded. Suddenly, Scott could live the life he always wanted, travelling the world and challenging himself. This energized him and he channelled this energy into trying to inspire people to live their life according to their dreams, to live their passion. I returned to his blog a few days later and found his latest post. It was about him traveling to Tanzania to go climb Mt. Kilimanjaro and see the Serengeti. It got me excited. It was exactly the same trip I had just returned from. My memories of it were still really fresh and had left a lingering positive feeling in my head. I wrote a long comment on that post and left. I thougth nothing of it. I decided to check back on Scott’s blog again two days ago. I was hoping to see a new post detailing all of his adventures in Tanzania. My trip had mesmerized me and I am sure it would do the same thing to other people. What I felt was utter shock when I read the comments people were leaving: “RIP”. Unfortunately, the post that Scott left about his plans to go to Kilimanjaro was to be his last ever. He died in an accident trying to ascend the mountain. I am still feeling the same shock right now. I never knew the guy and only discovered his blog very recently. Yet there was a sense of connection that I felt. He was the same age as I am. And his death happened at the same place that I had been at just a few days ago. What made it more personal is that I had made a comment on his post just a few days before this tragedy. All sorts of thoughts started rushing into my mind. It made me reflect on how fleeting life really is. You are here one day, and the next you are gone. One moment you are full of life and a second later it is all over. 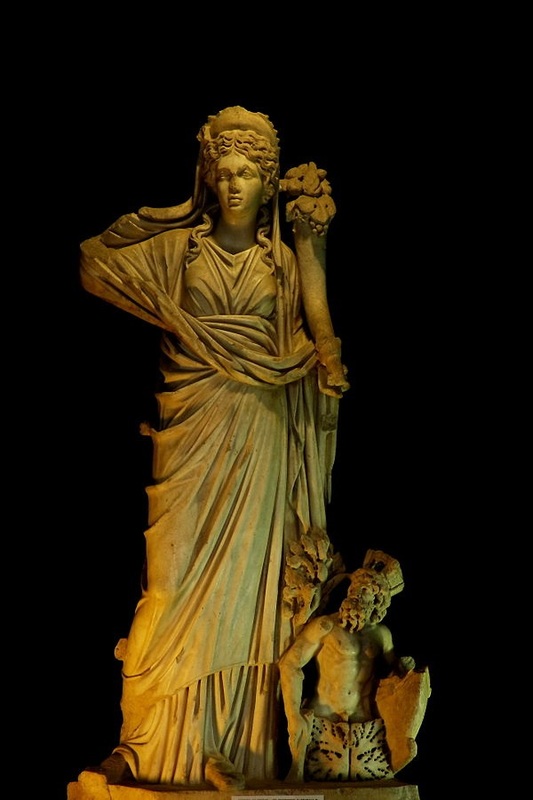 The Ancient Romans attributed life’s turns to Fortuna, the goddess of fortune. She brought both good and bad luck and her ways were mysterious and random. Oftentimes in her statues and paintings, she was pictured as blind and veiled, in order to represent life’s unpredictable turns. Luck governs our lives as well. I always praise the virtues of hard work, but we need to remember that luck plays a big role in everything that we do. Scott’s passing made me think of Seneca’s essay “On the Shortness of Life”. In this essay, Seneca expounds his reflections on death and the life we live. The central premise of his missive was that any length of a life is sufficient as long as you live it fully. Unfortunately, most people waste their life away. There are a few who don’t. A few individuals decide that they want to live the life of their dreams and according to their own rules. They live life to the fullest. Those are the ones who live a real life, even if it is short. Scott inspires even from beyond. He trully left a legacy. Most people squander their life, never going beyond the little boxes they create for themselves. They have never lived their legend and they will never leave a legacy. When they lie on their death bed, they will look back and see an empty void. Are you living the life you have always wanted? Are you doing everything in your power to improve yourself, to do incredible things and to rise beyond your own shadow? For you never know when it will be all over. Don’t dream, start living your dream. Do it now! Don’t let your life fritter away. Time is precious and your presence on this Earth is limited. Make the best of it. Men like Seneca have left a lasting impact on us all. Their words continue on living. When reading his thoughts, it seems as if you were talking to your friend, a guy from this day and age. Yet, this man has left our world around two thousand years ago! Other people have strived to leave a mark as well. Men like Scott Dinsmore have inspired countless people to change their life around. His work, his energy and his adventures are a testimony to a life well-lived. Scott was living his own legend in life and in death his legend will continue on living. He has left a legacy, a legacy of inspiration and passion. Don’t put things off. Scott’s message was to live your passion, but what you need to do is to start working on it straight away. In Ancient Greek legend, Achilles was given the choice of either living a long happy life, but being forgotten or living a short-life full of struggle, but becoming a legend whose spirit was to be remembered for millennia. He chose the second option. You are lucky. You don’t need to make that choice. You can have both! This is for all the loved ones that we have loved and lost, for all those who have inspired us. See you on the other side!